Very nice room, friendly owner, super-comfy bed and overall great value for price ! The owner was also very reactive in fixing our bathroom (which we found pretty unclean at our arrival). Breakfast served after 8.15, a little bit late for business. We actually got pillows! such a rarity in most hotels and a choice of colours!!! Perfect location, a hidden gem of the Belgian coast. The Christmas village was a credit to the region. Convenient location. Good breakfast. Comfortable bed. Didn’t have breakfast. Location is very good. One very good desk person. Great location for break activities, little longer walk to city center, but very easy. Tram stop very close. Wifi was good. Access to beach was 1 block away. Tram was less than 1 block away. Had adequate food at breakfast. Location is great, bed was good, staff is friendly, overall clean. Very nice hotel, near the beach, not far from city center of Ostende, hospitable personal. My booked room was occupied, so they gave me penthouse. Everything was good except only thing- it was really cold at night (room is big, there are two balcony, and it was March). Anyway, for that money it was really good. The staff is very welcoming and helpful. The reception is designed as a tea table where the manager welcomes guests. The atmosphere is very friendly. The room itself was very big with a balcony with a nice view and a super cozy and soft bed. Room was clean and had everything: from towel to ! coffee machine, yes your own. Exceptional quality for this price. Thank you very much, Peter! The hotel is conveniently located near the beach. The area is calm and seems to be safe. There are many restaurants on the seashore. I would really recommend this place. One of our best sellers in Ostend! Located only 850 feet from the sandy North Sea beach in Oostende, Avenue Beach Hotel offers rooms with free Wi-Fi in the center of town. It includes a terrace and an area with a steam bath and sauna which can be used for an extra charge. King-size beds, flat-screen cable TV and a desk come as standard in the rooms at Avenue Beach. 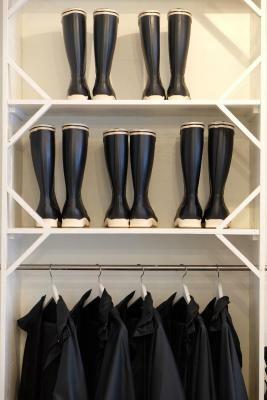 They also feature modern décor with wooden floors and nautical touches. Each bathroom has a bath or shower and a hairdryer. The Breakfast at Avenue Beach Hotel is a buffet and includes fresh regional products. Hotel Avenue is 350 feet from the coast tram stop which offers direct links to towns and attractions along the coast. Kursaal Oostende is a 10-minute walk away. Ostende-Bruges International Airport can be reached in less than 10 minutes by car. When would you like to stay at Avenue Beach Hotel? A room features a compact layout and bathroom with a rain shower. Private parking is available at a location nearby (reservation is not possible) and costs EUR 12.50 per day. This room features a bathroom with a rain shower. Each of these rooms includes a balcony and a bathroom with a rain shower. 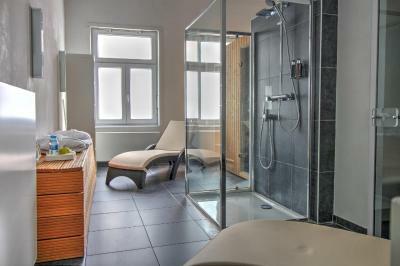 This spacious room has bathroom featuring a rain shower. This spacious room has a balcony and a bathroom including a rain shower. This elegant loft suite has a separate bedroom and a living area with a sofa bed. It also includes a bathroom with rain shower. This penthouse suite has a separate bedroom, a living area and a terrace at the front and back. The bedroom has a king bed and there is a bathroom with a bathtub. House Rules Avenue Beach Hotel takes special requests – add in the next step! Avenue Beach Hotel accepts these cards and reserves the right to temporarily hold an amount prior to arrival. that we stayed just one night in this cozy place. I wish we could stay more. Overall cleanliness wasn't great, the rug hadn't been vacuumed (you could feel the bits under your feet) and the bathroom was, upon arrival, quite dirty : hair and dirt on the toilet, dirt in the shower and on the sink. However, after talking about it with the owner, he quickly returned it to normal state so when we got back that same evening everything was clean ! The noisy people at 4 am! The bed was the most comfortable I've slept on in a hotel! The dark room helped for a nice sleep. Public parking is nearby, but ridiculously expensive. Great stay at new year. The room was as expected and there was a nice breakfast. The hotel is close to the beach with a view of the sea from our room. It was nice to come back to our room on new year's eve to find a complimentary bottle of cava waiting for us. We would come back to the hotel if we return to Ostend. Only two small things needed improving. The toilet flush button was broken and bathroom skirting boards were quite dusty but not a big deal. Really friendly staff who were really helpful with information. Great sized room. Bed was really comfortable. Good bathroom facilities. Great facilities in the room. Loved the little touches like the books to borrow and the coffee machine. Bag of treats for my daughter. Fridge was useful. Didn't try the breakfast but the breakfast area was bright and cheerful. Would definitely stay here again. The weather... nothing our hosts could do but as an a Englishman it is all we are concerned with. Everything else was good and as expected. The decor was good. I liked the wooden theme. White was a good colour.